Well Bianca and I are holding strong but we have both agreed that we are in a season of growth and testing. Lately we are feeling this on all sides. Our boys have just started school and they are obviously sad to say goodbye to the lazy summer days but Ezra had another reason for some sadness after he met his first “bully” as he put it, at recess during day one. It wasn’t a major incident but the kid pushed his head down to the ground and Ezra got a small scratch on his cheek. He got back in the saddle the next day but not before we all prayed with him and his big brother put a second grader on patrol for him during recess since the 3rd graders and 1st graders don’t share the same recess period. We also talked with his teacher and she seems to be on the ball too. On Friday Ezra came home and reported that “my bully became my friend”. God is refining all of us it seems. Bianca and I are making “home” happen here in the basement of her Mom’s house. It’s tight to put it mildly but we keep reminding ourselves of the fact that God is getting us ready for the mission field and things worth doing are also worth sacrificing for. I have carved out an office space in the area that also happens to be the bathroom and laundry room. It is the first time I have ever had to leave my work so someone could relieve themselves…/: I don’t usually rush to get back to work until I know its “safe”. When I am working, I am usually trying to connect with people who may want to support us and I have also been looking for part-time work. It is surprising how difficult it can be to find a job that is compatible with the efforts of support-raising. I have applied at all kinds of different places but so far very few have gotten back to me and the one or two that have, have not been without there issues. This morning the thought occurred to me that the Lord could even be preventing me from getting a job because then it would only divide my time more and support raising could just move slower. Who knows? When we can’t see then I have learned that we have no alternative but to trust and obey, like that old song says…“Trust and Obey….for there’s no other way…to be happy in Jesus…but to trust and obey”. Kind of corny I know but those words are deeply comforting at times like this. Currently with the support we have and that which we have been pledged we are at 15% of our monthly needs. This is encouraging in the sense that it represents a growing list of individuals and at least 1 church that have said they believe in us and or our mission. When I let myself think about it, it really builds up my courage to talk with more people. Our next big goal is to get to 50% of our monthly support because that’s when a part-time job will no longer be necessary. That is the point when we can start taking a pay check from ReachGlobal with the funds that have come in. I don’t know how long that will take to get there but I have a growing hunch that God is going to do something really amazing in the days ahead so our plan is to just trust and obey, since that’s all we can do. We are asking you to please pray for us to grow in our patience and endurance when you think of us. His peace to all of you! Thanks for the encouraging reminder! I will be praying for your 50% as I am praying for my 100%!! Jon, you are absolutely right! God will provide your support in His timing. He will teach you and your family many things during the process to prepare you for all you will need in your “toolbox” to be the most effective for His use. 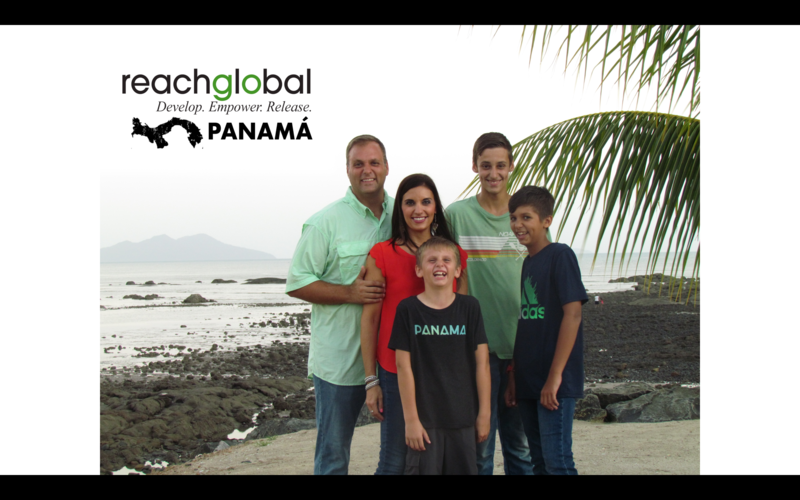 On a personal note, I believe this will happen quickly because you are so ready already and Panama NEEDS YOU! I so look forward to ministering along with you and Bianca in the VERY near future, Take care, and I will be praying for you and your family.